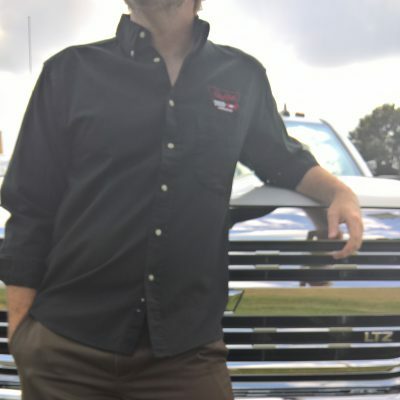 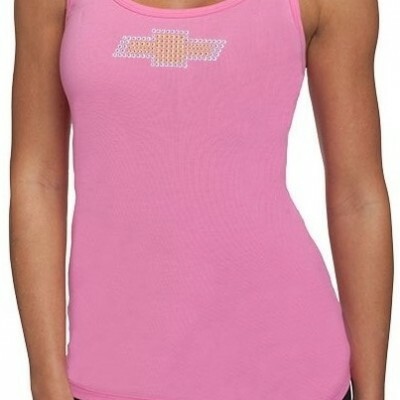 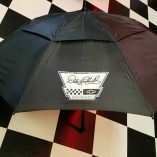 This Dale Earnhardt Chevrolet Orange and Camo Hat features our Dale Earnhardt Chevrolet logo on the front, and has an adjustable velcro back so it will fit most sizes. 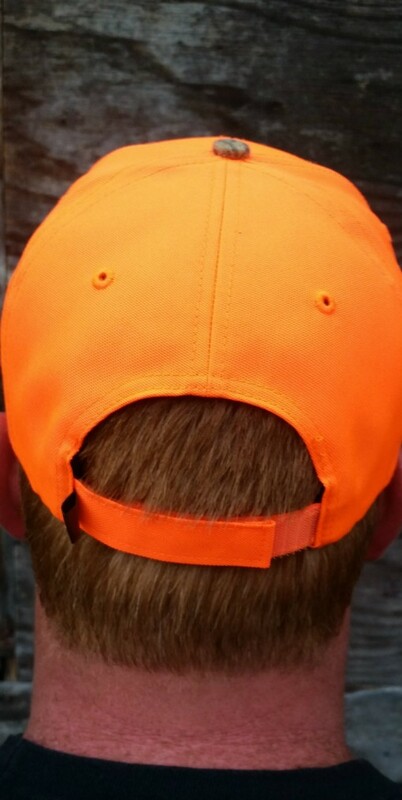 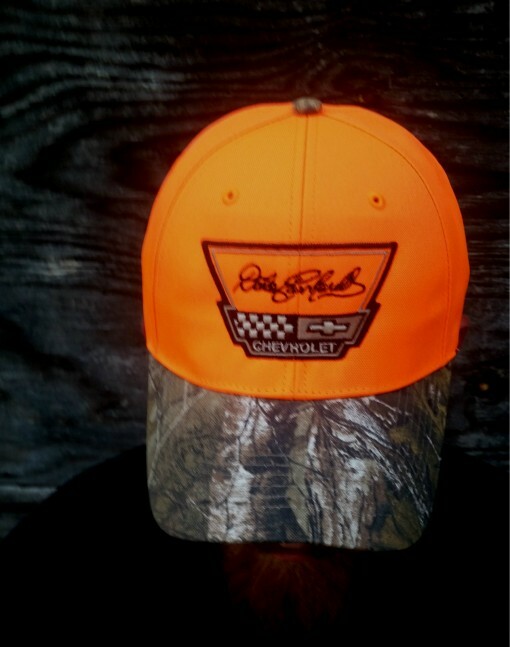 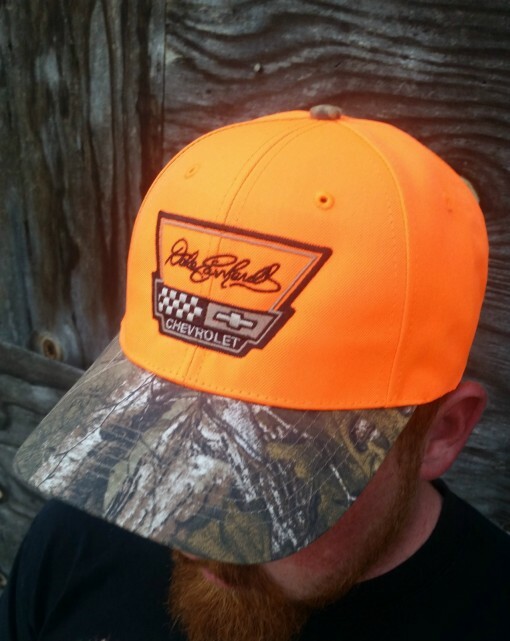 This Dale Earnhardt Chevrolet Orange Camo Realtree hat has an adjustable velcro back. 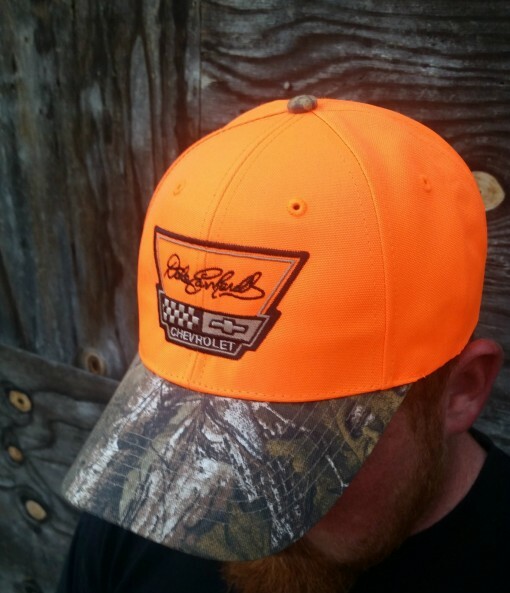 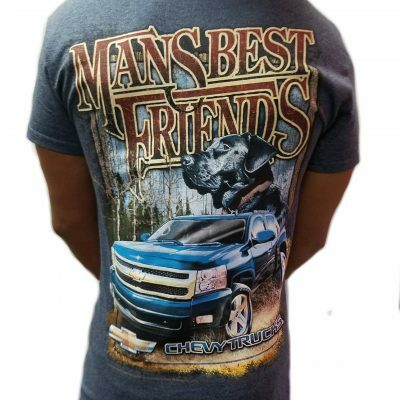 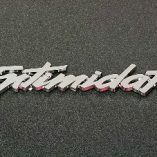 It features our Dale Earnhardt Chevrolet emblem logo on the front of a Blaze orange cap and the bill is a Realtree Camo pattern.